Hackney Council are planning to squander yet more of our open green space to replace the existing changing rooms block, an unobtrusive structure hidden behind trees, with a massive new building out on the open expanse of Hackney Marshes. Save Lea Marshes are not against constructing new sporting facilities for cricketers and footballers but we believe that there is no legitimate reason to build on green space. The new pavilion should be located on the footprint of the old changing rooms. Hackney Council have told us that the footprint of the present changing rooms is going to incorporated into an enlarged car park; there is strong evidence that this new car park is being created to support future commercial festivals on Hackney Marshes and not for sports purposes. When Hackney Council first proposed holding mega events, the marshes were far from an ideal venue. However, with the addition of the new car park on East Marsh (constructed without planning permission), the recently created car park at the Hackney Marshes User Centre and this proposed car park, there will be access for large vehicles at every corner of the marshes; ideal for festival construction but far from ideal for the thousands of pedestrians, dog-walkers, sports people and cyclists who presently enjoy the marshes safely, free from dangerous traffic and toxic exhaust fumes. We regard the construction of new car parks to be totally counter to the Council’s own existing policies on discouraging car use. This should be even more relevant to Hackney Marshes than it is to Hackney streets; the marshes and other vital green spaces should be preserved as traffic-free zones that the public can use safely and in tranquility. Our marshes are legally protected as Common Land; car parks obstruct local communities from the recreational enjoyment of the Commons to which they are legally entitled and this is why Commons Consent is often refused for car park construction on green spaces. Hackney Council have informed us that they are unable to build the new pavilion on the footprint of the old changing rooms because of conditions set by the English Cricket Board (ECB), which is contributing funds to the project. However, the ECB have told us they have laid down no conditions whatsoever about the need for a car park. There is nothing in their requirements, as far as we know, that prevents the new pavilion being built on the footprint of the old changing rooms. Plans were approved in 2009 for replacement facility that did not mean building on green space, and located the new pavilion on the footprint of the old building – yet containing more changing rooms than this new proposal. Since then, all that has changed is the Council’s proposal to host mega-events on the marshes and the construction of more hard-surfacing on the marshes without planning permission, including the new East Marsh car park. 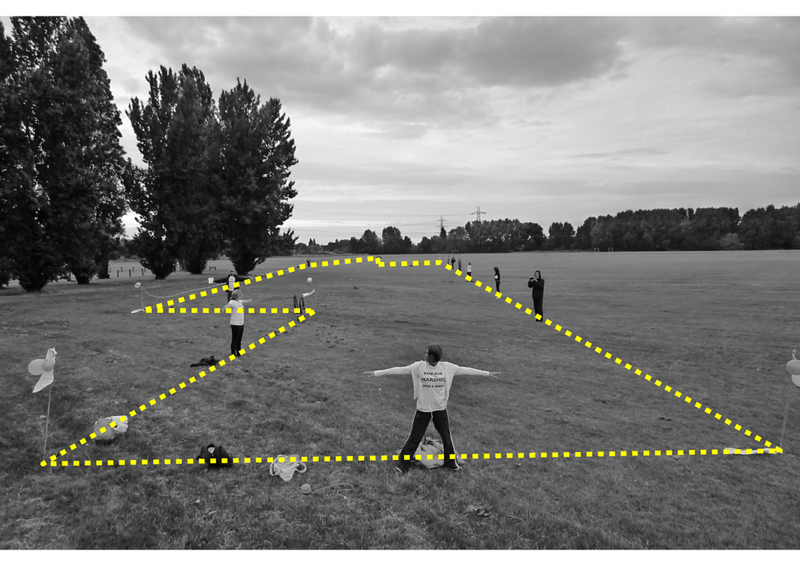 Join Save Lea Marshes in opposing the construction of a new cricket pavilion until Hackney Council commits to returning to their 2009 plans to build it on the footprint of the old changing rooms. Join Save Lea Marshes in resisting the urbanisation of our green oasis. Cars should not be allowed onto the marshes.